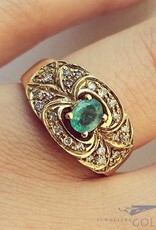 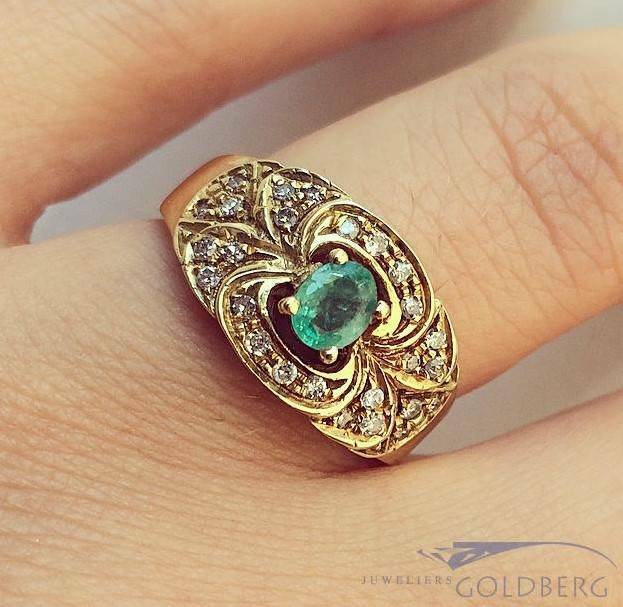 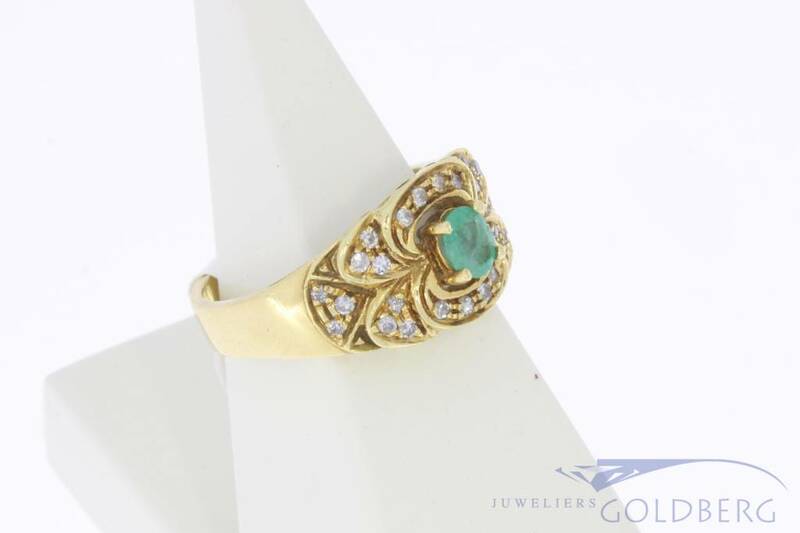 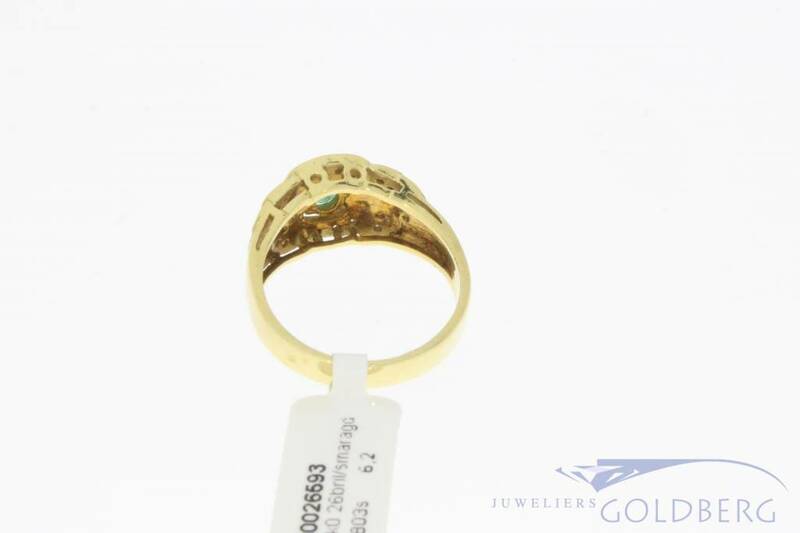 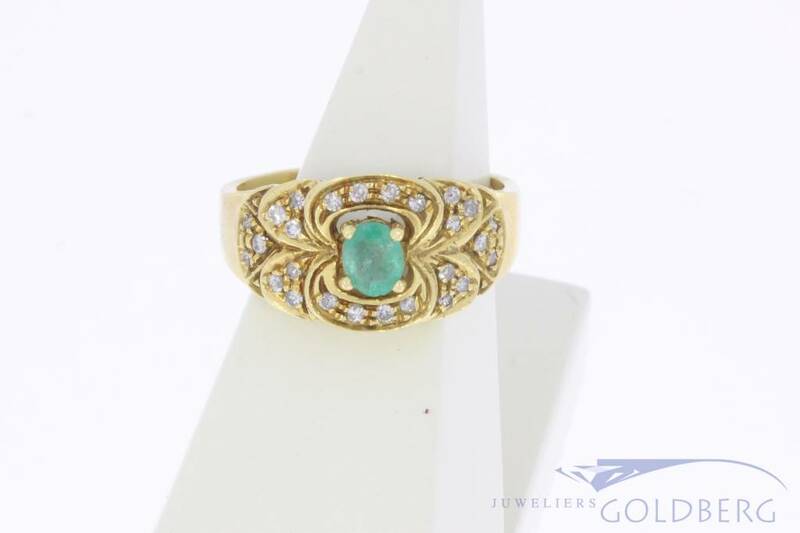 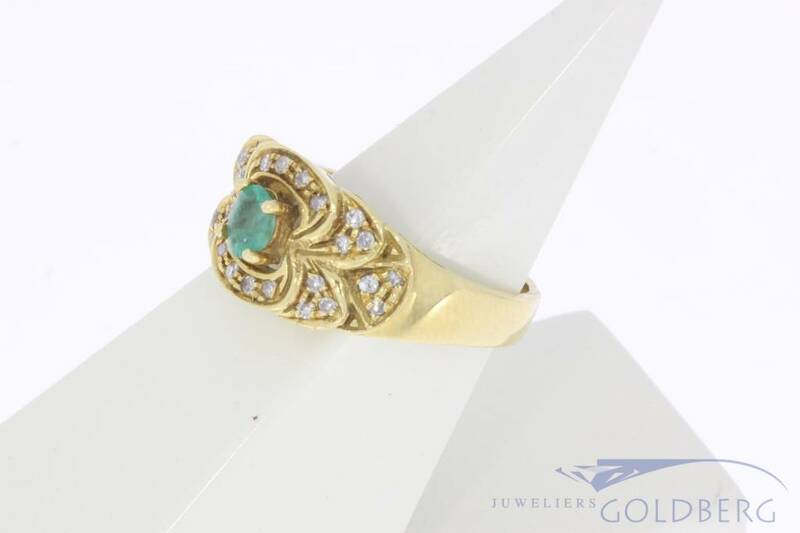 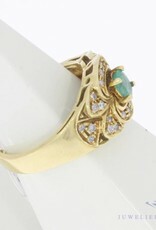 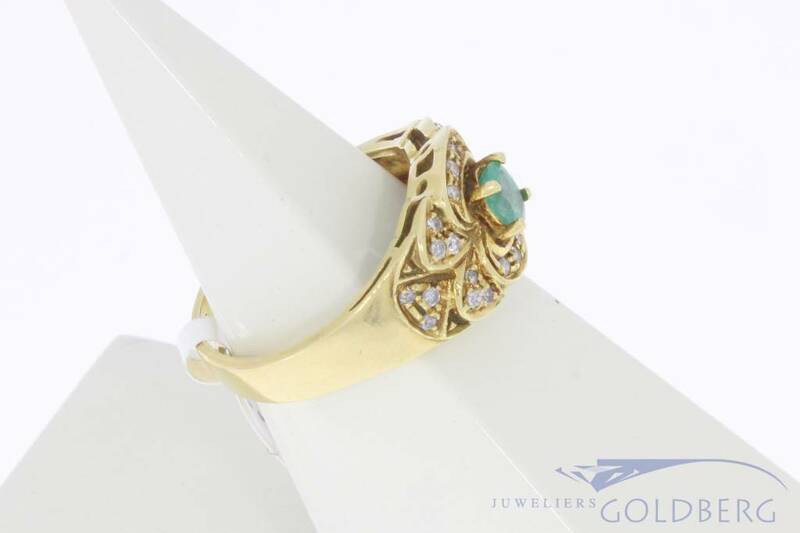 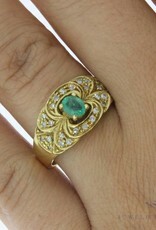 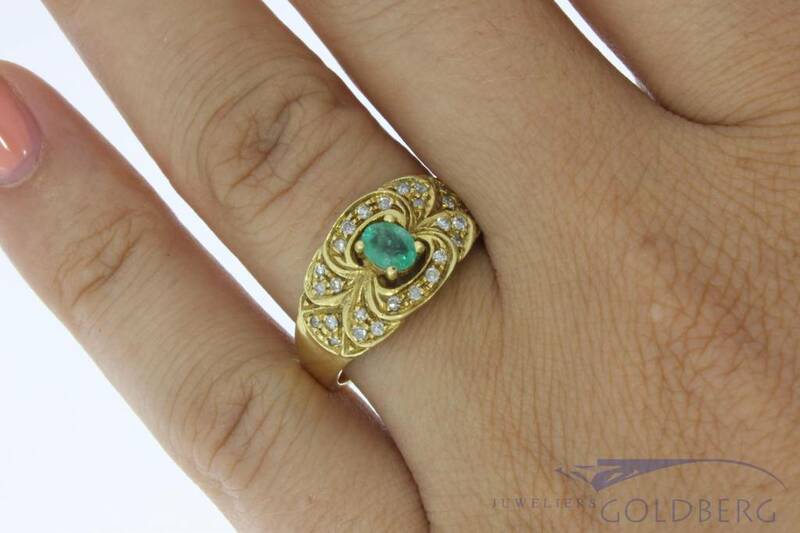 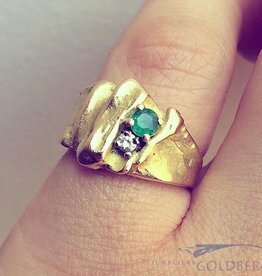 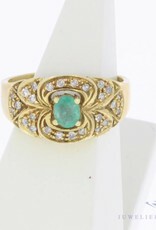 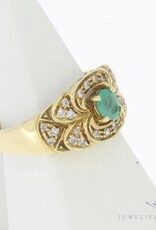 Beautiful and special vintage 18 carat gold ring with emerald and a total of approx. 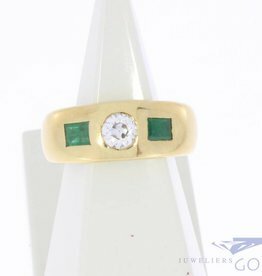 0.26ct brilliant cut diamond. 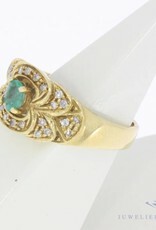 The piece of jewelry is inlaid with one emerald and 26 approx. 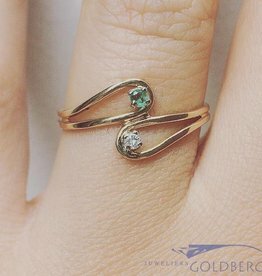 0.01ct brilliant cut diamonds. 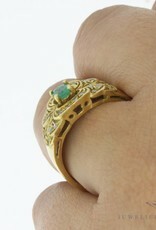 The widest part of the ring - the front with emerald and diamond - is approx. 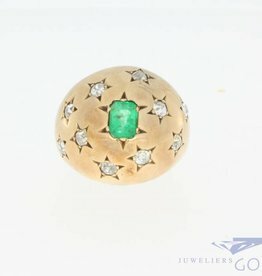 10.70 mm and the height (including the emerald) is approx. 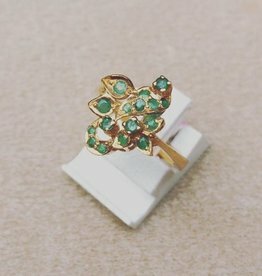 6.15 mm. 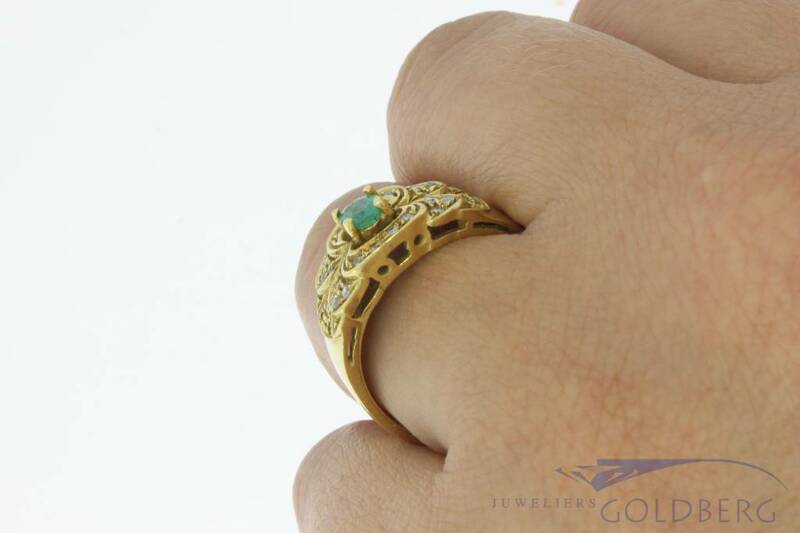 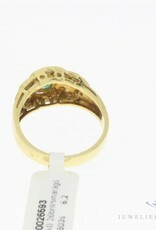 The ring size is 18.50 / 58 and the weight is 6.2 grams.